Are you able to cook? If no, then do not worry, we will teach you! At first you have to cook the food you need and start to cook! In this game you will do it with Tessa. 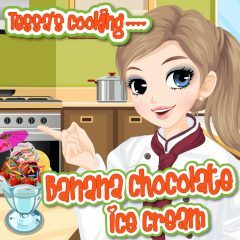 You will cook the ice cream. We promise you that you can do it. Follow all tips and enjoy the game!